Naveen is a successful entrepreneur and Philanthropist. Naveen Founded his latest internet venture Intelius in 2003 and is currently its Chief Executive Officer. 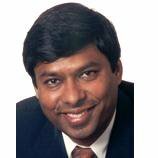 Jain founded InfoSpace in March 1996 and was Chief Executive Officer until Dec. 2002.